Has anyone consulted or read the late 2009 book by Stephen McGreal "The War on Hospital Ships 1914-1918."? Can anyone point out errors, omissions, new information and the like that he includes? To what extent has he used primary archival sources? Is the book documented with proper footnotes? Dear me, that's a rather negative question 'can anyone point out any errors'. My extensive research was conducted in numerous archives including the National Archives. Contemporary newspapers also provided a tremendous amount of information, for example statements from the Secretary of the Admiralty, first hand accounts from survivors, diplomatic communiques and much more. My publishers encourage authors to include source references within the text to minimise the amount of foot notes required. The 272 page book has a bibliography, but does not have a dedicated chapter containing references detailing the source of every statement. There is a listing of hospital ships and a roll of honour of those who were killed during the attack or sinking of a hospital ship. I hope you enjoy my book . Does your book have information on hospital ships leaving Gallipoli. I assume it must have. Kindly tell us how to purchase copies of " The War on Hospital ships 1914-1918?" Thank you for condensing what must be a vast amunt of information. The main thrust of the book is the sinkings and attacks on the hospital ships against a backdrop of maritime warfare. The 1915 campaign at Galipolli is mentioned more as an example of how ill prepared we were for the high level of casualties produced by the campaign. Interestingly the casualty figure from Mons were used to access the amount of hospital ships required - two hospital ships with a joint capacity for 700 patients was intially deemed sufficient to cope with the Gallipoli casualties. As casualties rose, more hospital ships and vessels that had discharged cargo [known as white or black ships] were rushed to the Aegean. There are a few interesting pages on Gallipoli, but out at sea there was also a great deal happening to the mercantile marine during 1915. Germany abandoned cruiser rules warfare, Lusitania was torpedoed, Churchill ordered sea captains to ram surfaced U Boats, Captain Fryatt was executed for doing so, the Baralong atrocity happened, HMHS Anglia struck a mine and sank, Britain was accused of using hospital ships to carry men and munitions overseas, these factors all ushered in a new era of unrelenting naval warfare and are covered within the work. At the rear of the book there is a listing of vessels, typical details are- their company, when built, requisition period and bed capacity and within the roll, you might recognise some of the vessels you may be looking for. The War on Hospital Ships 1914 - 1918 is availiable on Amazon or from Pen & Sword. I believe there is a review on the Long Long Trail and also two on Amazon. Thanks for doing the research. I don't buy on Amazon but will hunt the book down and just know I will enjoy it. Matron Mrs. Mitchell, Nurse Walton, Nurse Meldrum, and Nurse Rodwell who died, so who is the other nurse who died? Hi dabtoe I'm a bit confused by how you have listed the names in your first post - I'm presuming that the first three are the survivors and Staff Nurse Mary Rodwell died? The last certainly appears on the Hollybrook memorial at Southampton. Sister Alice Meldrum survived: http://greatwarnurses.blogspot.com/2009/11/sinking-of-hospital-ship-anglia.html. I have to go and do something else now, but I'll carry on looking later. It's possible that it was Rifleman William Kenyon who was incorrect rather than the author. Anglia p14 onwards. There are photos. Living in Folkestone I am keen to get all the names of those who lost their lives in the sinking of the H.M.H.S Anglia off Folkestone, which only recently we was able to get official War Grave status for. - Hence the need to know the names of those who died. It would appear that there is also a difference with the number of officers lost, to my knowledge there are four, JARIN Major GEORGE ALEX FRANCIS ROMAIN, NAPIER Major HENRY LENOX, TAYLOR Lieutenant CHARLES HARRY, and THARRATT Lieutenant GEORGE VANES. There has been references made to five officers lost, if correct so we need the name of the 5th officer lost. Turning to Stephen McGreal book and also Maritime Archaeology Trust's Hospital ships booklet 'Anglia & Asturias Hospital Ships', if their account is correct it refers to "six military officers". So we need the names of two other officers who died that day off Folkestone on 17th November 1915, to join the four names we know about. can you help please. As I have the War on Hospital Ships book by Stephen McGreal and following this latest series of posts I have re-read the section on the sinking of HMHS Anglia and I wish to amend what has been previously mentioned. Firstly it refers to a report in the London Gazette about the King presenting the Red Cross 1st Class to the Matron Mrs M S Mitchell and the Red Cross 2nd Class to Sister Miss A Meldrum and Staff Nurse Miss E A Walton. With all of them commemerated at the Hollybrook Memorial, Southampton. I am not familiar with the booklet referred to but the mention of 6 officers dying and only one nurse dying could well be in error. Thank you for that, - regarding Staff Nurse Elizabeth Edgar QAIMNS a search in the internet Holybrook memorial refers to her death on 28th February 1918, seemly connected to the sinking of the H.M. Hospital Ship "Glenart Castle" not the Anglia which sunk on 17th November 1915. So far I have 167 names but I feel that this is not all those who died in the Anglia, hopefully someone will be able to get the names of the dead which am not aware of during my research into the Anglia. - Their names should be remembered. 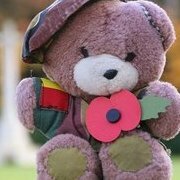 Since I don't know who is already on your list I will offer the name of Pte. JOHN BARLAS (22721) 11th Royal Scots who drowned on the Anglia. Has anyone able to help with the missing names of the officer or two officers and nurses from the Hospital ship Anglia whose loss is not recorded on Southampton's Hollybrook memorial? No list of casualties is included with the report. Alerted to Stephen's book by this thread, I purchased a copy, and I'm glad I did. B5 size, 275 pages on good quality paper. Images nicely reproduced. For John (the start of this thread), each chapter has end notes rather than foot notes on each page. There is also a list of references on pages 265-266, though I suspect this is a partial list, (and diary held by the IWM is not referenced with a call number of any sort). Overall, I learnt a great deal from reading Stephen's book, and would recommend it to anyone interested in the subject of sea transport. Like any book, it does have some errors. He mentions Seang Choon on page 66: 'purchased from the original owners in 1910...' but doesn't tell us who the new owners were (Lim Chin Tsong) which seems an odd omission. 'Requisitioned from her new owners in 1915 as a British troopship taking troops to Gallipoli ..' is misleading if not wrong, as the ship had been taken up as an Indian Army transport in 1914, then as a transport for AIF troops from Australia from Dec 1914 until Imperial authorities used it as a hospital ship from March 1915 to March 1916 (so a hospital ship before the Gallipoli landings took place: were the British troops he mentions being taken to Gallipoli all medical staff?). It reverted to Australian trooping in March 1916 until July 1917. On page 105, Stephen states the Galeka landed Australian troops at Suvla Bay (no date given). AIF troops landed at a small cove miles from Suvla Bay (the cove would soon be known as Anzac Cove), from Galeka in the morning of 25 April 1915. Galeka was on the far left of the invasion fleet during the landings. The only Australians landed at Suvla Bay on 7 August were navy: the RAN Bridging Train, who landed from HMAT A54 Itria. Stephen goes on, after discussing its use as a troopship, to say that Galeka was requisitioned as a hospital ship 'the following year', ie seems to mean 1916, whereas Galeka became a hospital ship in June 1915, the same year as the Gallipoli landings, and two months before the landings at Suvla Bay. The quote that follows is dated July 1915, so I think 'the following year' is just a slip in expression. I seriously doubt the claim on page 94 that a submarine fired a torpedo at a range of 30 or 40 feet. I'm not sure of the arming distance of a WW1 German torpedo, but the resulting explosion, if it did detonate, would have also damaged the sub. Even 30 or 40 yards seems too short a distance to avoid damage to the submarine. I also wonder why the Kyarra was singled out for mention on page 195. Stephen states that the ship had 100 AIF wounded aboard on their way back to Australia, which is incorrect: the ship was on its way from London to Devonport to embark Australians being repatriated, but was sunk en route before they were embarked. Moreover, Kyarra was no different to virtually every other troop transport heading to Australia between Feb 1915 and the end of 1918: they all carried mostly medically unfit personnel who were unlikely to become fit for further service. Kyarra had been used as a hospital ship for one trip Australia-Egypt-Australia in early 1915, but after that reverted to an ordinary troop ship, so I wonder why it was singled out for mention. My last comment concerns spelling - Karanowna on page 66 is Kanowna; Clan Macgillivrah on page 65 and 268 is Clan Macgillivray; Ulysees S Grant on page 268 is Ulysses S Grant (spelled correctly on page 69); and Konigen Luise on page 18 should be Konigin Luise. Kildonan Castle on page 53 and 267 is, I suspect, Kildonian Castle. OK, some errors, but overall, I both enjoyed the book and learnt a lot from all the detail that Stephen presents. Well worth the $$ I paid, and a good reference overall.